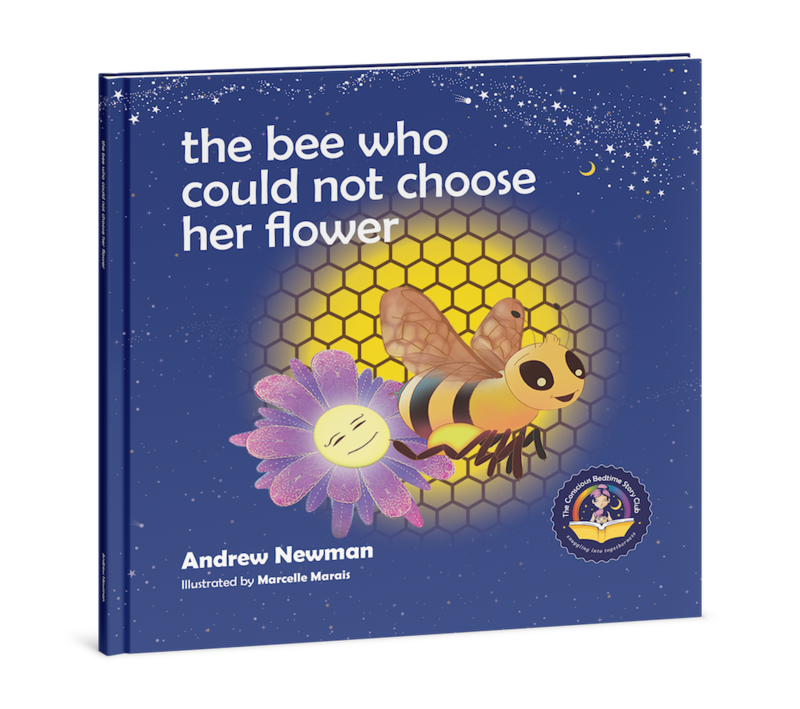 Products / THE BEE WHO COULD NOT CHOOSE HER FLOWER, Supporting children to make clear choices and be happy. 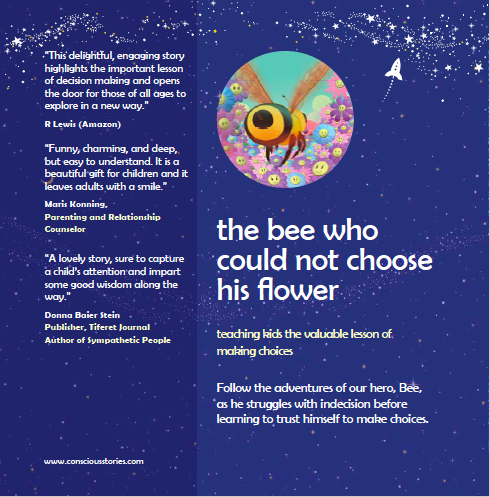 THE BEE WHO COULD NOT CHOOSE HER FLOWER, Supporting children to make clear choices and be happy. SUPPORTING CHILDREN TO MAKE CLEAR CHOICES AND BE HAPPY. 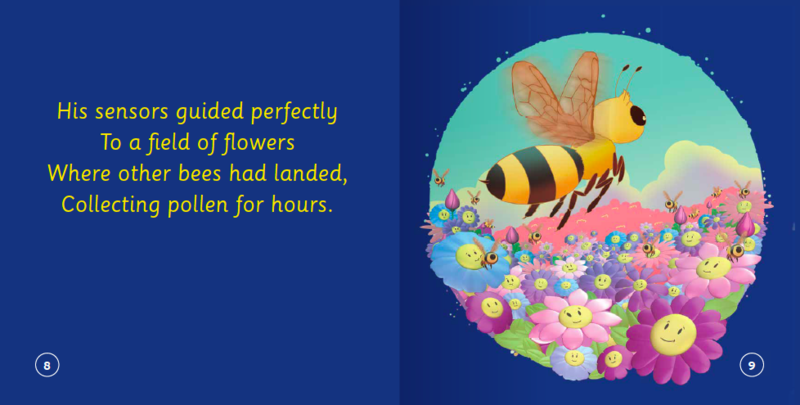 This beautifully-crafted rhyming bedtime tale for kids ages 4 through 8 takes us on an adventure with Bee, a little hero who struggles with indecision. 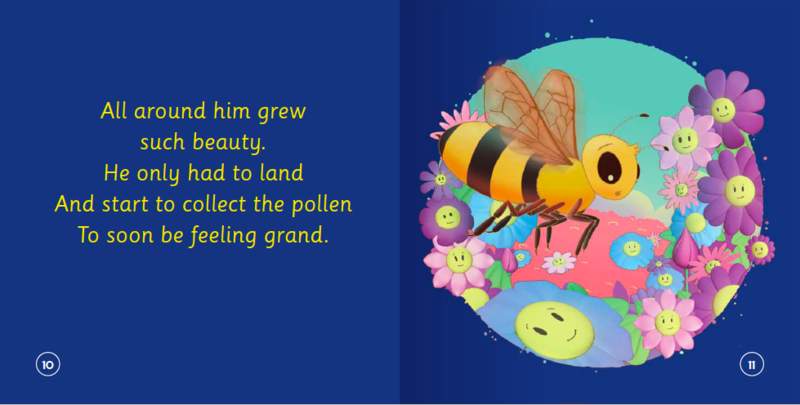 Bee must learn to trust herself to make choices which improve his life and his happiness. 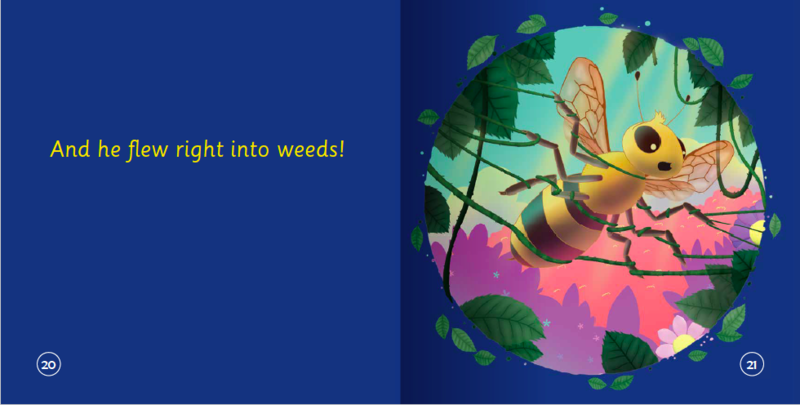 Imaginatively illustrated, this book, which is part of the Conscious Bedtime Story Club collection, is a sure-fire winner for parents seeking conscious parenting tools. 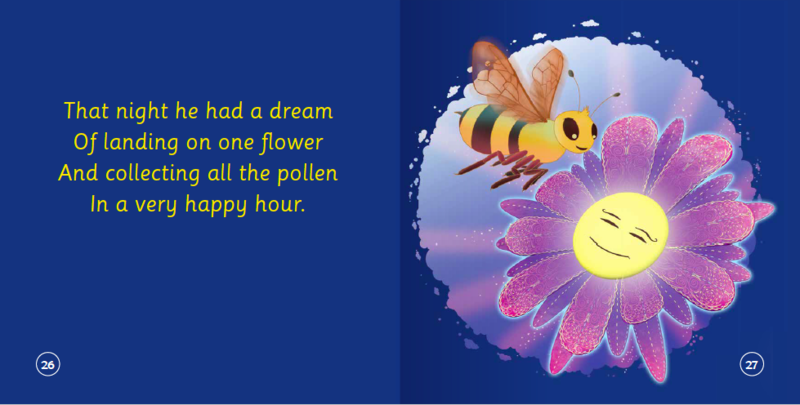 This book will help children recognize and manage the process of making the many daily choices with which they are constantly presented. 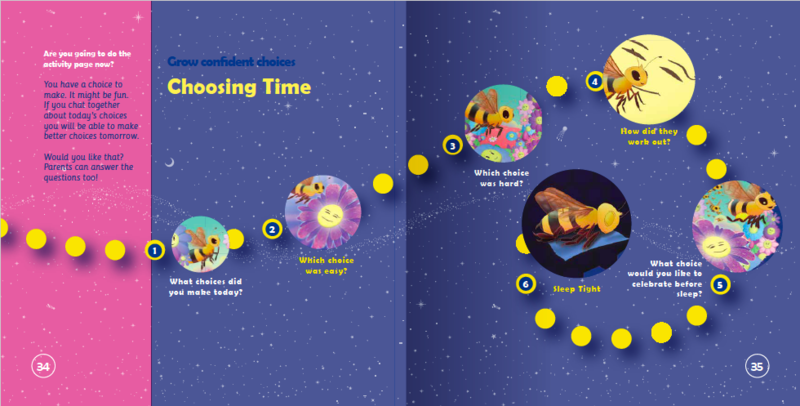 The book ends with Choosing Time, a set of questions to help young listeners and readers to recognize the choices they made each day, and to become more aware of and comfortable with that process. .
"Wow, What a story! It's so sweet and great"
Brenda Carter Blessing, Lead Teacher at A Society of Souls.